For medium to close range shooting. Fast, dependable target acquisition. Includes two tactical on/off pressure switches. 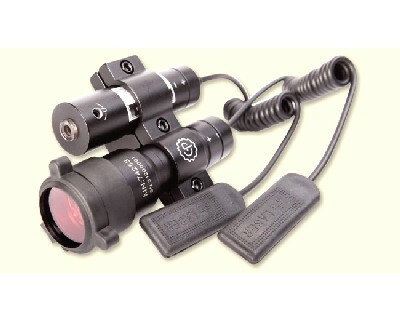 Kit - Includes a laser sight rated at 200 yards of visibility at night and 50 yards in daylight. Adjustable for windage and elevation and includes three LR44 Button Cell Batteries.